Yay my pre-order for Sale-a-bration has arrived and I am so excited to share one of the products you can earn for FREE with any $90 order!!!! Did you see my post last weekend showing you the cover of the Occasions Catalogue? Here it is again! And this floral bouquet has also arrived in my pre-order, so I will be making it up over the Christmas holidays. I bet you can’t wait for me to share this with you?! Here is the Lotus Blossom stamp set. Now don’t be afraid when you see that it is two-step stamping, because this set is photopolymer and it is so easy to line up the stamps when they are completely clear, without using your stampamajig!!! I have used Old Olive, Pear Pizzazz, Blushing Bride, Rich Razzleberry & Strawberry Slush inks with the coordinating card stock. I stamped the flowers onto scrap whisper white card and then cut each one out. You don’t have to do this if you don’t like to fussy cut, but I wanted some added dimension. I also sponged the edges of each layer of card stock to soften the edges. Don’t forget to stamp an extra flower on the inside of the card ~ it really does finish the project off nicely. Would you like a copy of the Occasions & Sale-a-bration brochures? I have some now, so can mail out asap for you to browse through and make your wish lists prior to the sale date, 6 January 2015. 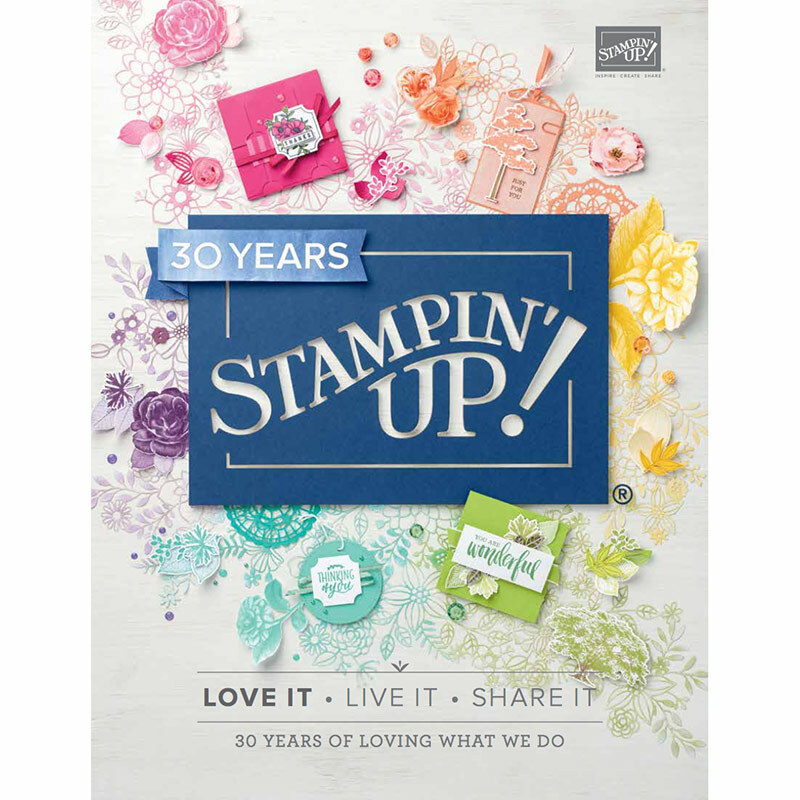 Please only request a copy of the Sale-a-bration & Occasions Catalogue if you are within Australia and are happy to purchase Stampin’ Up! products from me. If you currently have a demonstrator you already order from, please request a copy from them to be fair to me and the other demonstrator. Delivery will be towards the end of December. 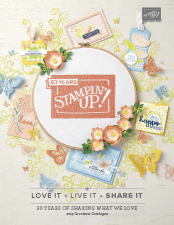 Tagged Feminine Handmade Card, free product, Lotus Blossom, Occasions & Sale-a-bration, Stampin' Up!